Who can you trust to move your Office or Business? 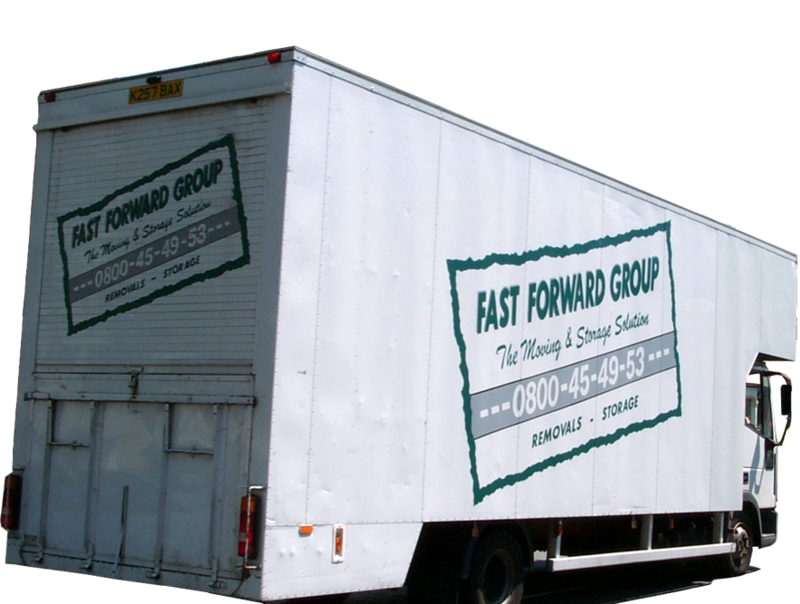 Fast Forward Removals - Moving Offices & Businesses in London, since 1979. Moving an office or business in London can be a stressful time, however, Fast Forward Removals help make this process as smooth & stress-free as possible. We have been moving offices and businesses since 1979, an experienced team who work with you on your plans to prepare in advance for the move, ensuring our moving responsibilities can be met & completed on time. 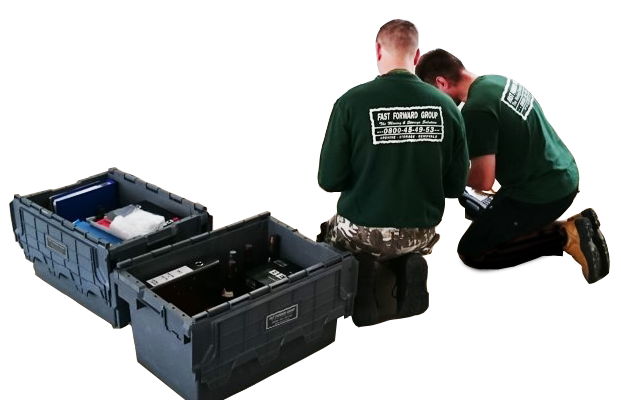 Customer Focused Office Removals & Moving Services: you can book in advance or sometimes at short notice. Working for a successful Move every time. Every Office is different. Firstly, we need to know about the size & amount of your office contents or the individual items for small offices or businesses that are required to be moved. You can do this by using our Office Removals form here or by sending us an email here to arrange a free no obligation visit to your office by an experienced Estimator. The Moving Quotation is then promptly emailed for your approval. This will be the total assured price for the Office Removal Team, including vehicles required to complete your move. Please note this price also includes our Insurance Cover, Terms & Conditions and all our service commitments. If you decide to accept our quotation and move with Fast Forward, get in touch quickly to book your Office Removal date & time. Here at FFR we offer a fair, first come first served system, when allocating available dates and times. Sometimes we can accommodate your move at short notice. We understand that dates and timescales can be out of your control, so please keep in touch! Once we have agreed a date and time you will receive written confirmation from us and your moving slot is guaranteed! 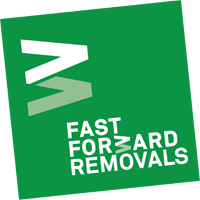 On Relocation day the Fast Forward Removals team will arrive at the agreed time and location; equipped with the packing materials you requested. 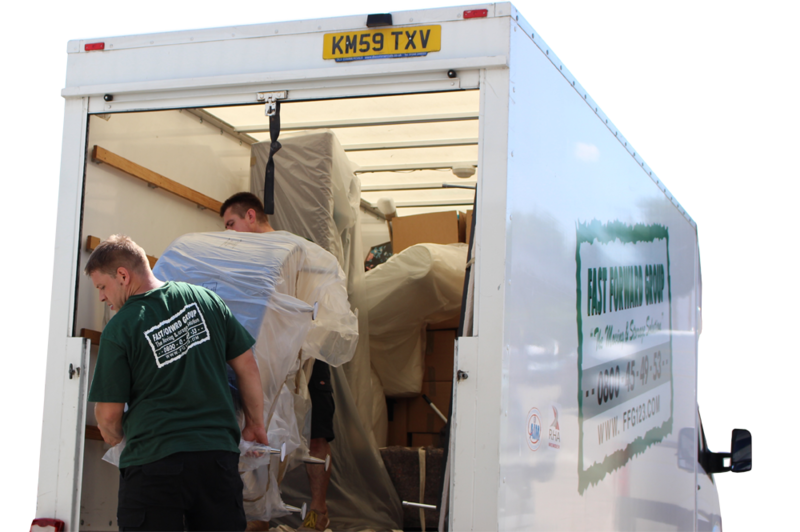 To ensure a stress-free and organised move, the Team Leader will liaise with you and our Move coordinator throughout the duration of your move. 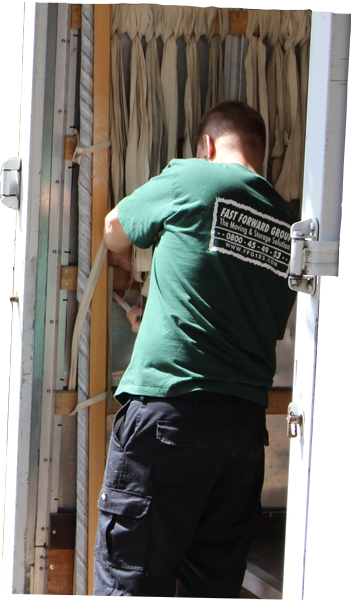 Our experienced Office Removal Teams are trained, have completed the required checks and are fully insured. Remember, if it is Packed & Prepared well, then it can be moved safely! Your guys were brilliant, & there were no extra charges! "Everybody in the new office has been talking about how well our removal went, and they have urged me to write to you on their behalf."